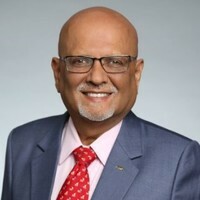 Indian American Dr. Chad Gehani, the executive director of the Indian Dental Association in the U.S., will serve as the next president of the American Dental Association (ADA). According to a press release, Gehani was chosen over three other doctors and he will automatically become the president of ADA at the close of the House of Delegates meeting, which is to be held in San Francisco in October 2019. During his campaign, Gehani made more than 20 visits to multiple states and spoke to many ADA delegates. Gehani tried to understand their needs and the needs of the profession in the country at this time and then came up with specific solutions to issues that he had studied for more than a year. Both Gehani and his wife Rekha have been members of the ADA for more than 30 years now. Gehani has previously served as the president of the New York State Dental Association and the Queens County Dental Society; he is also a member of the American Association of Endodontists. Gehani received his dental degree from Columbia University College of Dental Medicine. He is also a recipient of the Ellis Island Medal of Honor, which recognizes Americans who dedicate their lives to community.